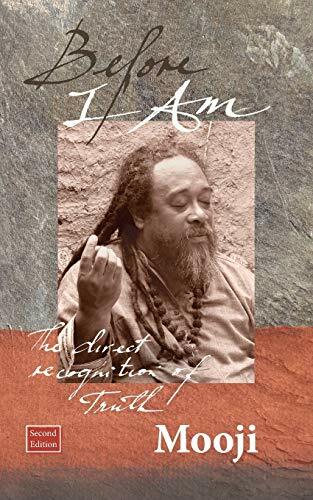 Before I Am is a selection of dialogues between Mooji, a warm-hearted spiritual master, and seekers of peace, truth and freedom. This second edition expands upon the first with 100 pages of previously unpublished dialogues, fresh quotes, brush drawings and photographs. While Mooji's presence carries a devotional fragrance, the words and drawings that spring from his Being are of the nature of non-duality. At times humorous, at times tender, occasionally sharp and always loving, Mooji responds to questioners as they speak of fear, suffering, confusion, relationships, spiritual practice and how to live their lives in peace. Yet it is Mooji's unsparing pointing to Truth, through the method of self-inquiry, which forms the essence of this book. His words represent unwavering invitations to investigate the nature of the Self and to rest effortlessly as the fullness and emptiness of Beingness. His answers encourage, challenge and never fail to illuminate. Enriched with Mooji's exquisite brush drawings - which add depth and a power of their own - this book is even more potent than the first. This edition acts like an unsparing sword that chops the mind and leaves you fully naked as your Self.